Shark Defenders: Introducing Manta Reina! Shark Stanley has a new friend, Manta Reina. She has heard his call to help protect sharks and rays at the Convention on the International Trade in Endangered Species (CITES) in Bangkok this March. Manta Reina has left her tropical home to tell the world how important it is to help save manta rays from unsustainable international trade. 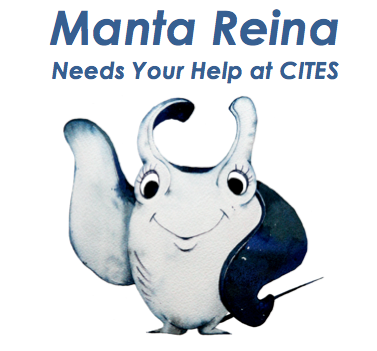 Reina is a reef manta, Manta alfredi, one of the two species in the genus Manta proposed for Appendix II listing at CITES. 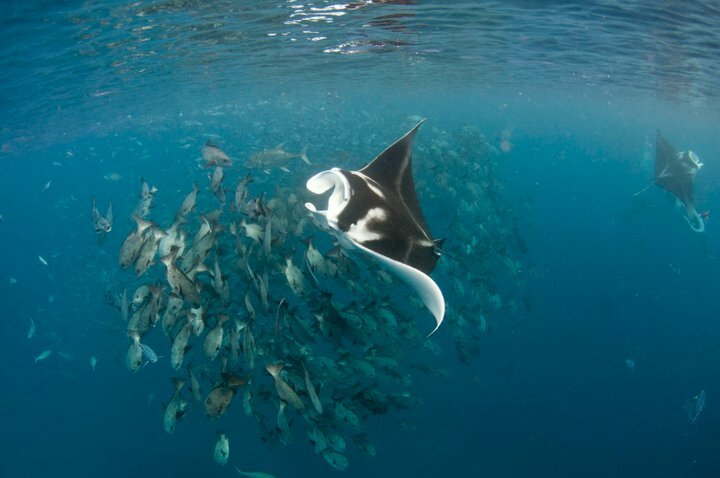 Manta rays are listed on the IUCN Red List of Threatened Species as vulnerable and are threatened because of the demand for their gill rakers, which is used as an ingredient in herbal remedies. Just like Shark Stanley, Manta Reina is traveling around the world to find friends who will support shark and manta ray protections at the upcoming Convention on International Trade in Endangered Species of Wild Fauna and Flora (CITES) meeting in March in Bangkok, Thailand. If you would like to help her with this mission, you can print this picture of her, cut it out, and take a photo with her anywhere you wish. Shark Defenders is compiling the photos from around the world to share on ourblog and web pages, and sending them to governments voting at CITES. I’m a member of the Mobulid family, which has 11 species including us reef mantas and the larger oceanic mantas. My wingspan can reach up to 5m! My oceanic manta cousins are even bigger, reaching 7m. Despite being one of the largest creatures in the ocean, I’m a plankton eater and prefer the tiniest organisms living in the sea! My mouth has evolved perfectly to filter tiny zooplankton, using my sieve-like gill rakers. The big cephalic lobes around my mouth help filter this food. Check out these pictures and videos of me and my friends and feeding together – humans always tell me how acrobatic we are! A lot of humans don’t know that we’re very intelligent: in fact, we have the biggest brain of all 32,000 species of fish! I live mostly a pelagic life out in the open ocean throughout the tropics and sub-tropics, but often visit reefs to meet other mantas, feed and get cleaned. My oceanic manta cousins are more migratory, so you even find them sometimes in temperate waters. I reach sexual maturity relatively late in my life (15-20 years old) and don’t have many young over my lifetime – we can only have one baby every 1-3 years. This means that I’m very vulnerable to overfishing and my species is slow to recover. My species has been thriving in the oceans for 4.8 million years! Unfortunately, I’m facing a lot of threats out there in the ocean today from human activities. We get entangled in fishing lines and nets, and most recently, the gill raker trade has reached unsustainable levels. The estimated number of mobula and mantas rays caught every year is 94,000 and 3,400 respectively. This is dangerous because humans don’t really know that much about the size of the global manta ray population. 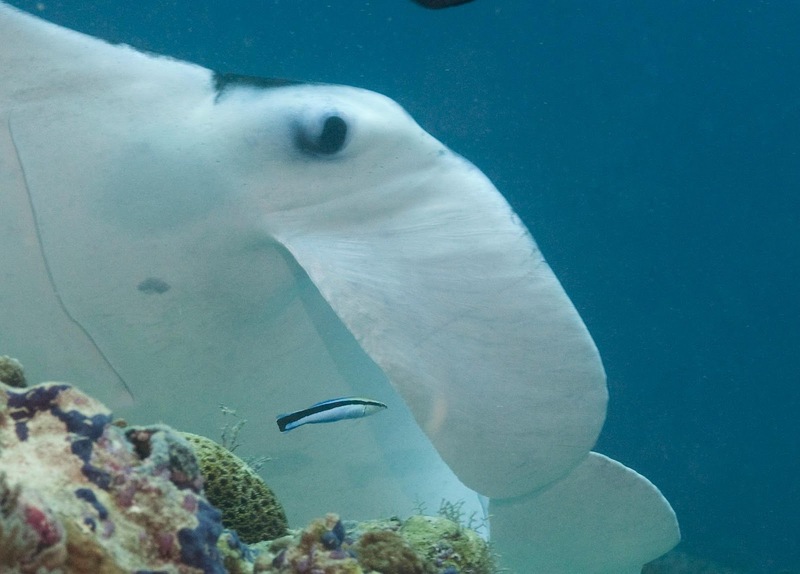 A manta ray is worth more alive than dead: divers from all over the world come to see us, bringing in over US$100 million every year from tourism revenues. On the other hand, the gill raker trade is valued at only US$11 million per year. In fact, the value of one live manta ray throughout its whole lifetime is US$1 million! You can help protect me by joining the Shark Stanley campaign and taking a photo with me. My friends at Shark Defenders will make sure that your CITES country representative sees these unique petition “signatures” and hears your call to protect sharks and manta rays!